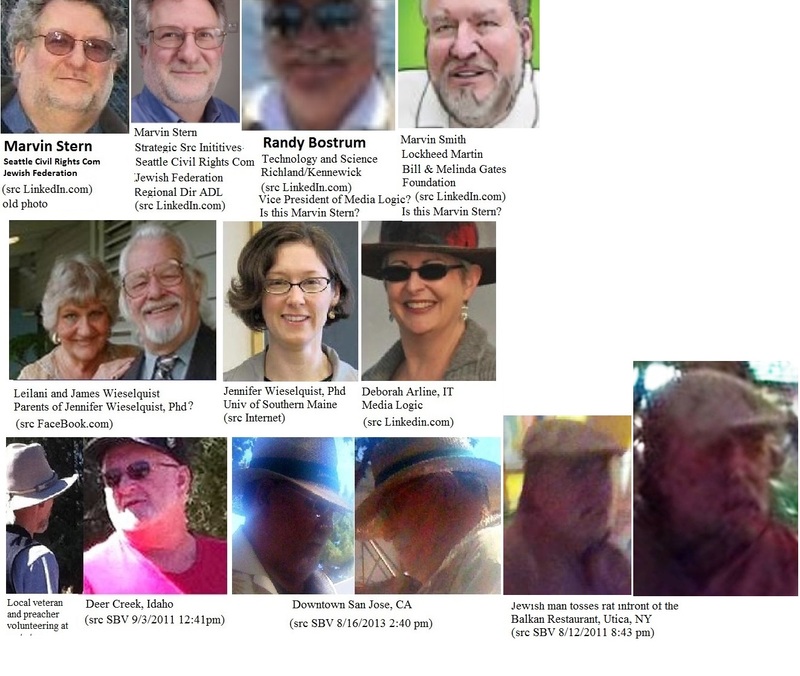 The following is an attempt to give a big picture of the multi-faceted connections between key events, individuals and groups in approximate in the order of appearance who have been tentatively identified as having participated in harassment. Identifications have not yet been confirmed by third parties. If you believe that someone has been misidentified or if you have information you’d like to share please contact me at the fairestgame@gmail.com. A LinkedIn search on Mathew Wisner, who’d attended a networking meeting with me at Notes From the Job Search led to first identifications of individuals photographed at anonymous harassment events. Wisner’s colleague, Elizabeth Finlayson was present at the first large group swarm at Cafe Umbria in May 2010. At the time of the event, her supervisor, Brant Lowe, was the recruiter who placed me into contract at Microsoft (see Protocols Team). While working on the Protocols Team at Microsoft, I complained to Volt about the intrusive behavior of an editor, Christine Warren who seemed to be monitoring me as if she was my supervisor. She was later found to be a FaceBook friend of a MTF transgender person who was the subject of my 2007 complaint to the Seattle Civil Rights Commission. Both are connected to the Seattle First Baptist Church which led to the identifications of pastor, Ashlee Wiest-Laird (see Diebierstube). Northwest Coalition Against Malicious Harassment – webpage. There are two Christine Warren’s in the Seattle area, both are singers. One appears to have roots in Canada. Christine Warren bears a striking resemblance to Christine King, Volt’s Regional Manager. King and Lowe are both connected to Momentum Worldwide, a Canadian marketing company with a social agenda to promote diversity. Since blogging about these people, King has replaced a poor quality image with a crisp clear image and expanded her LinkedIn profile and Warren has created a profile using her FaceBook photo. Lowe’s career has skyrocketed and he is now working in Brisbane, Australia. Is Lowe related to these women? Although harassment of people who support immigration control is not reported in the US, it is common knowledge in Canada. According to King’s profile, “Momentum is a Volt Information Sciences Company”. Media Logic also has branches involved in recruiting and commercial marketing. Numerous executives and employees from both branches have been identified in harassment. White House Office of Faith-Based and Neighborhood Partnerships and the Northwest Alliance Against Malicious Harassment. Bethany Community Church was identified after members viewed my LinkedIn profile. Research on the churches leadership lead to several other identifications. 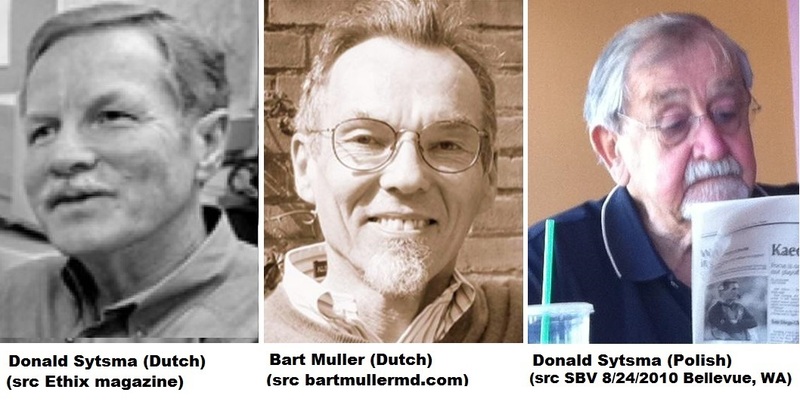 Miroslav Volf was identified because he is quoted by Sr Pastor, Dahlstrom. Dahlstrom is who is believed to be the son of Bill Wassmuth, founder of the Northwest Coalition Against Malicious Harassment. An attempt by Media Logic’s Charlene Day to lure my company into violating a Right-To-Represent agreement with an East Indian Recruiter in favor of a blond (her daughter?) led to the identification of this company as a key player in the harassment and what is possibly a wide spread ‘borrowed passport’ scheme used by academics to travel and work without appearing to violate visas. Randy Bostrum, VP claims Department of Homeland Security Credentials. Bob Davis, is possibly a special agent assigned to Media Logic (MA, TX, WA). Being approached casually by Davis and Volf in my neighborhood in June 2010 coincides with the initiation of the gas-lighting program. The leadership of this church is predominately Jewish. 4. Pittsburgh Mind-Body Center: MK-Social Justice? 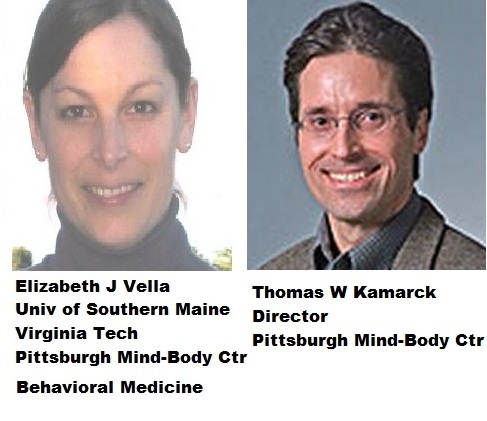 A long list of over 23 co-authored papers on ‘hostility’ on the curriculum vitae of the young colleague of a person I’d photographed at a harassment event led to the identification of academics connected to the Pittsburgh Mind-Body Center. Elizabeth J Vella is believed to be a relative of Arturo Zychlinsky, James Jesus Angleton (aka Edward E Vella? of the Belsen-Bergen report). 5. Black bag involuntary commitment attempt? Searching for help from the social justice community leads to more identifications. Margo Schlanger’s oral statement Officer for Civil Rights and Civil Liberties, Department of Homeland Security. Oral statement from her “maiden appearance” before the House of Representatives on Working With Communities to Disrupt Terror Plots before the House of Representatives, MARCH 17, 2010. In 2011, at the Samena Swim Club, a group of woman who engaged in social buffering to prevent me from forming social networks with other members. 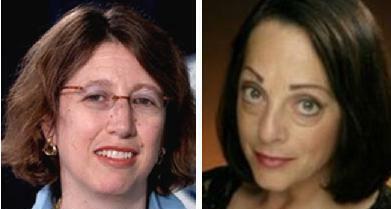 One woman is identified as Julie Meril, the wife of rabbi James Meril. Her maiden name is believed to be Schlanger and she is likely the sister or cousin of Margo Schlanger (see report Samena Swim Club). During a road trip across country in 2011, I’m swarmed by Jewish groups. At a rest stop in Deer Creek, Idaho, a man intervenes in a conversation I’m having at a rest stop with a veteran/preacher about psychological torture. In the background a woman also, in bright pink paces back and forth to get my attention. The parents of a researcher seen at harassment events, Jennifer Wieselquist, match that of the couple. Deborah Arline is possibly Marvin’s sister. Randy Bostrum, VP of Media Logic is possibly an alias of Marvin’s. With its $55 MIL annual budget, the ADL can afford field trips. When an oppressed people strike out at someone other than their oppressor, it’s called Lateral Violence. People driven into a state of acute stress with a sense of no escape are risk of unleashing pent up anger at those around them. When my stress levels become observably high, researcher’s families swarm me with children, frail elders and small dogs.